Alex Wake has been a journalist for 30 years and an academic for 15. She's worked in print, radio, television and online in Australia, South Africa, Ireland, the United Arab Emirates, Asia and the Pacific. She is now the Program Manager for the Bachelor of Communication (Journalism) at RMIT University and teaches Global News Studies in the Graduate Diploma of Journalism. 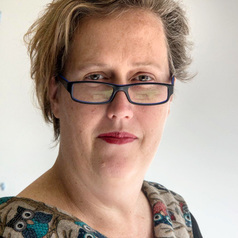 Alex is the elected President of Journalism Education and Research Association of Australia, a board member Dart Centre for Journalism and Trauma Asia Pacific, a staff-elected member RMIT Academic Board and on the education advisory committee for Everymind. In 2011 she was the Asia Pacific Academic Fellow for the Dart Centre for Journalism and Trauma. Alex's PhD focussed on journalism training by Australians, outside Australia's national border. Her current research is focused on broadcast journalism, journalism education, journalism and mental illness, journalism and trauma, journalism and gender. In 2018 she was named a Fellow of the Higher Education Academy, UK.